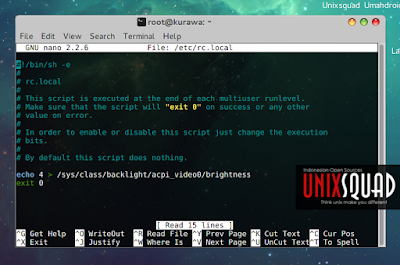 Save Screen Brightness Settings In Ubuntu - Linux users still have back-light issue in their distro like Ubuntu 14.04. Every time boots up you'll get the maximum level of screen brightness. You'll see a value brightness screen configuration. 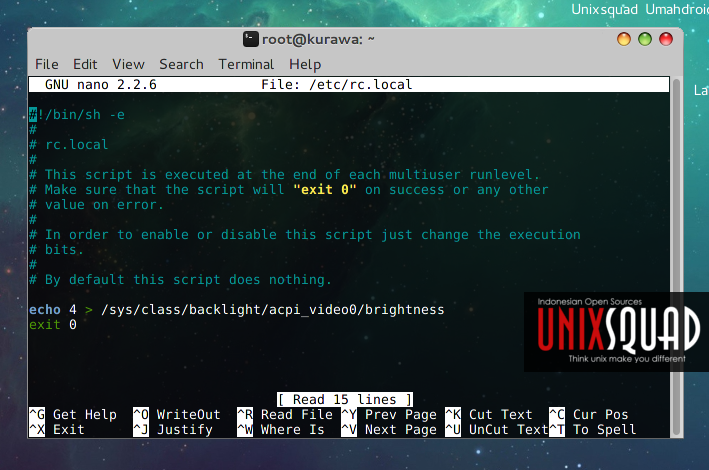 Next open rc.local with your favorite text editor. Note : 4 is my brightness value setting. You can change 4 with another value. Ubuntu has 20 for maximum brightness value. Then save it and reboot you machine. Enjoy! So that ends of this guide How To Save Screen Brightness Settings In Ubuntu. Hope you've enjoyed reading this tutorial as much I’ve enjoyed writing it. Please comment with feedback. Thanks again for visit.